From commercial to individual projects, Call Elite Custom Coatings for beautiful custom coating services that lasts. We have state of the art equipment and highly trained technicians that ensure a perfect, durable application every time. Industrial equipment has its special coating requirements. Elite Custom Coatings has one of the largest industrial powder ovens in the state. This ensures we can take on anything regardless of size. Have a project that requires military-grade paint? Let us help professionally coat your equipment with CARC paint. With three paint booths, Elite can easily do traditional wet coat painting for any project. 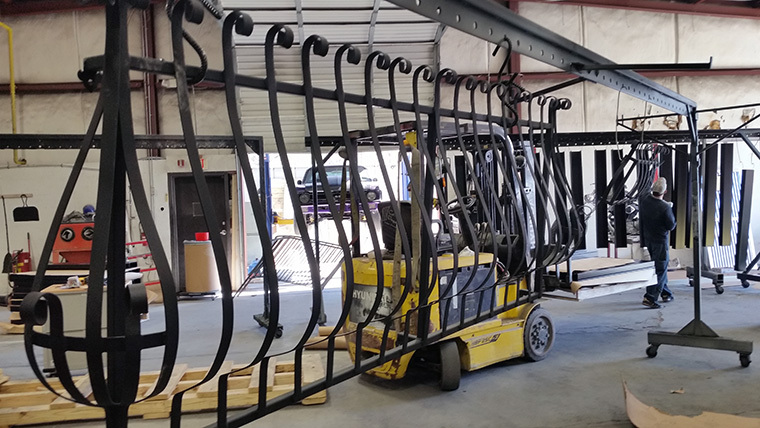 Powder coating is a highly durable coating method that produces a thick, color-fast application with a perfectly even finish. Sandblasting is the preferred method of evening out the surface of metal before painting. We can fully prepare your equipment for painting. Call us at (919) 662-8777 to start your plans today.